• Christine Guertin, Head of Regulatory Affairs, Synlogic, Inc.
• Michelle Mellion, M.D., Medical Director, Fulcrum Therapeutics. • Moderator: Jennifer Chadwick, Ph.D., Director of Biologic Development, BioAnalytix, Inc.
Panelists each shared their own personal journeys – at times intentional and other times not. They each believe that as women, career transitions never occur in a vacuum - they involve other people who are part of the equation, such as significant others or children. The panel also highlighted obstacles, such as how women are often perceived to be a support person, especially when transitioning to higher corporate levels. They advised that during such transitions, it’s important to understand people’s perceptions and deliberately work to change them. • Always be mindful of where the gaps of are in your CV and find opportunities to fill them. Don’t worry about where you’re going (you’ll figure out where you need to go), but as long as you are moving forward in some way, you are bettering yourself. o Make a list of potential people who can help you: reach out to those in positions you seek to attain to understand what they are doing and how you may expand your skill set in that direction. o Visualizing on paper often brings a different perspective, and making a pro and con list may be helpful. • Don’t forget the importance of networks: new opportunities often come from old contacts, and in addition, use your network to de-risk. The audience was engaged and grateful for the advice learned from each individual panelists' personal journey. 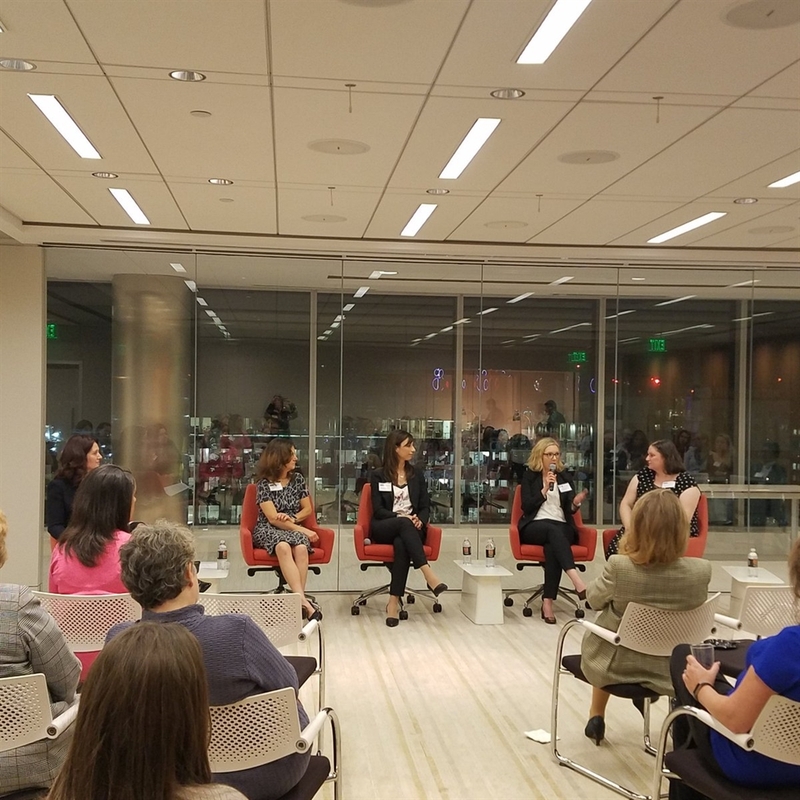 The WIB-Greater Boston chapter thanks the panelists and also our host Fish and Richardson, LLP for a wonderful fall event. 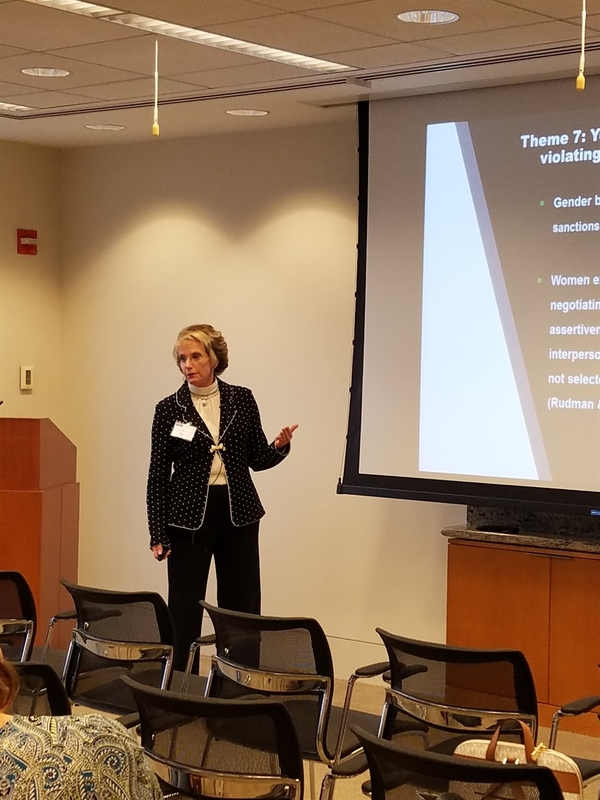 On May 3rd, 2018, Gae Walters, PhD., shared insights and inspiration from her research, a literature review of how women have employed buffering behaviors* to achieve senior leadership positions in male-dominated fields. Gae is an organizational psychologist, author and executive coach. She framed her talk as all the things that she wished she had known at the start of her career. Gae enthusiastically expressed her wishes for the next generation to have an easier professional path than she did and that this generation will push forward for female achievement in traditionally male-dominated fields. • Self-monitoring – IQ gets you hired, EQ gets you promoted. • Impression Management – is a mechanism for overcoming inaccurate stereotypes (Leary & Kowalski, 1990). “In less than four minutes, people make judgements about your credibility, knowledge and expertise…just by looking at you” – L. Zunin Contact the First 4 minutes. 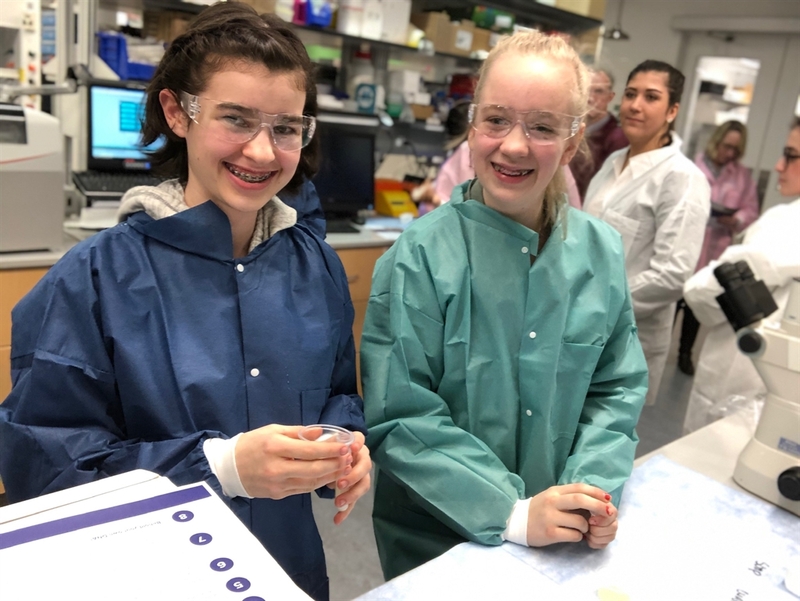 • Political Skill – this is actually a gendered advantage area for many women in STEM over their male counterparts. • Performance – You can’t be equal to, you must be better than - over prepare, over achieve, over deliver. Gae’s presentation was heavy on data as well as on quotes: “Remember, Ginger Rogers did everything Fred Astaire did ...but she did it backwards and in high heels.” It was wonderful to be her audience. All the women in the room felt the sincerity and power of her words. We hope that our generation can fulfill her wishes for us. *Buffering behaviors are defined as the self-monitoring skills and strategies that utilize knowledge of political behavior, impression management, and performance to overcome the gender bias and backlash women often experience when behaving in counter stereotypical ways.